Advantech, a global leader in the IoT embedded market, is glad to announce the launch of UBC-200, an ARM-based compact box computer powered by the Freescale ARM® Cortex™-A9 i.MX6 dual/quad core high performance processor. UBC-200 is intended to be used as a core computing element in the growing demand for IoT applications. 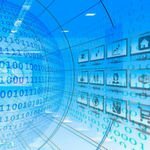 As predicted by CISCO, there will be 25 billion devices connected to the Internet by 2015, and 50 billion by 2020, so it’s evident that the IoT market is looking for highly connective and intelligent systems that can process raw data and deliver them to remote servers. 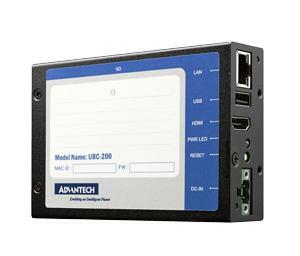 So Advantech is excited to introduce UBC-200, a compact size and high performance box computer with metal chassis, DIN rail and wall-mount support, fanless design, 9 ~ 24V wide range power input, and multiple I/O options. UBC-200 is a stable, efficient solution that is able to operate 24/7 and is targeted at IoT cloud-based services and solutions. UBC-200 is equipped with the Freescale ARM® Cortex™-A9 i.MX6 Dual/Quad CPU, 1 GB/2 GB DDR3 of onboard memory and 4 GB e.MMC flash memory for storage. It supports Full HD 1080P HDMI display, 1 x USB 2.0 port, Gigabyte Ethernet and a mini-PCIe interface for optional Wi-Fi or 3G expansion. The network connections of UBC-200 can bridge all the different devices in an IoT network solution and link them all together. UBC-200 is an intelligent gatekeeper of data collection and management in your IoT infrastructure. UBC-200 is a highly scalable, ruggedized ARM-based box computer designed specifically for the IoT market. With a compact size of only 111 mm x 77mm x 30 mm, and a feather-light weight of 312g, it can be integrated anywhere through the specialized mounting kit. The metal chassis provides excellent protection against oxidation, corrosion and dust, and the wide range power input, wide temperature 0~60 °C operation, and fanless design enhance its reliability in harsh environments. Lockable DC-in and RJ45 connectors prevent loose cables caused by shock and vibration. UBC-200 is an ideal solution for IoT applications in industrial markets needing a highly ruggedized and reliable solution. UBC-200 comes with Linux 3.0.35 by default. With a Linux-based environment, the development of applications is free with no extra license fees. Advantech provides a complete SW toolchain, Linux source code package and SW support service for your application development. And, to keep up with the latest trends in the embedded market, we also offer an Android OS image and BSP source code based on Android version 4.2.2 for application development. An Android App can be integrated with UBC-200, as well as the newest Windows embedded OS, “Windows Embedded 2013” on a "by project" basis. This creates more differentiation and competitive advantage to your end products. 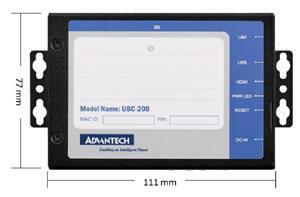 We are glad to announce that UBC-200 is available now, with Linux OS image and free mounting kit included. 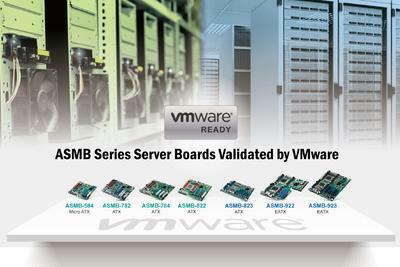 A compact, smart, advanced ARM-based system is ready to plug-and-play. Please contact your local sales person or visit the website for more details. Founded in 1983, Advantech is a leader in providing trusted, innovative products, services, and solutions. Advantech offers comprehensive system integration, hardware, software, customer-centric design services, embedded systems, automation products, and global logistics support. We cooperate closely with our partners to help provide complete solutions for a wide array of applications across a diverse range of industries. Our mission is to enable an intelligent planet with Automation and Embedded Computing products and solutions that empower the development of smarter working and living. 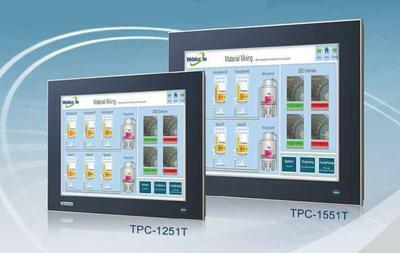 With Advantech, there is no limit to the applications and innovations our products make possible. 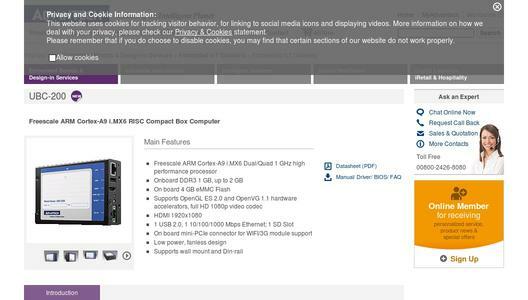 (Corporate Website: www.advantech.eu). 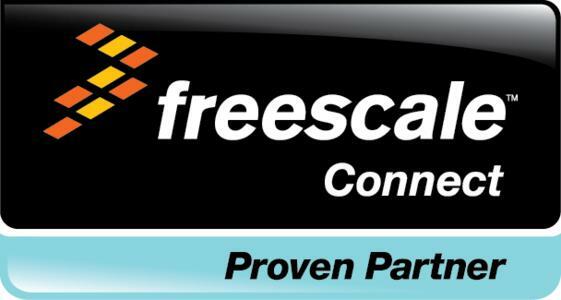 Advantech is a proven partner of the Freescale Connect Partner Program. 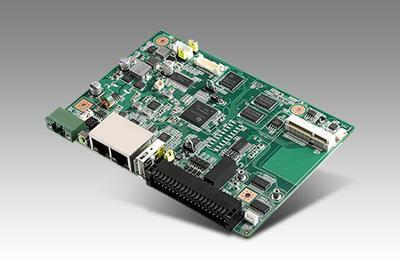 The Freescale Connect Partner Program is an essential source for embedded designs based on Freescale solutions.